Patch 3.14 in League of Legends stirred up a lot of things with the game (patch notes here). One of my favorite things is that I get the excuse to play one of my favorite champions, Taric the Gem Knight, more often because he has new found efficiency. Taric’s increase in effectiveness comes from both the introduction of more gold for the support role (notably the introduction of the Relic Shield item chain) and from a reworked passive ability. Unfortunately, it would appear that Taric is operating more effectively than intended. Again. Taric has had a fairly turbulent balance history having been tweaked in no less than 20 patches (since release in 2009) and having all of his abilities (innate, Q, W, E, or R) changed mechanically in some way. Generally, Taric has always been on the fringes of healthy strategic value, not representing the most frustrating experience to play against, but rarely attracting attention in higher levels of play except for during the times he is overpowered. Yet, Taric has had a habit of hogging the spotlight whenever he gets a hold of it; that is to say, in the times Taric has been overpowered, he has made it strategically inefficient to pick other champions. I hypothesize that this pattern is partly caused by the fact that Taric’s kit is not up to Riot’s standard promotion of healthy PvP interactions. So, what does a Taric do? Each of these roles are acceptable to some extent, but I hypothesize that the way Taric fills each of these roles has caused his difficulty to balance. Disrupting the opponent team can be accomplished in many ways, some more effective at certain times than others. This can entail creating openings for allies to take out valuable opponent players, closing openings opponents have created on allies, or even forcing a fight to happen while on good terms. Taric has a disruption tool that few other champions have. A targeted stun. The stun disables both movement (making it more powerful than silence or blind and less situational than fear) and action (making it more powerful than slows or snares and less risky than taunts). The fact that it’s targeted means that, with the exception of the target becoming invalid, the target will be stunned. They cannot dodge it or outrun it or wait until it’s window of opportunity has closed, the opponent will be stunned. Stats: how hard you hit, how much damage you can take, how fast you move. The only thing better than having a lot of stats… is having more stats. Taric provides quite a lot of bonus stats at that too! Taric’s basic ability, Shatter (W), provides bonus armor to nearby allies at all times and his ultimate ability, Radiance (R), provides bonus attack damage and ability power to nearby allies for it’s duration. Bonus stats are something of a problem because they tend to have a satisfaction deficit. It’s relatively hard to feel good about the amount of tactical power that the bonus stats actually provide. This is less the case in Taric’s case, since you can see that the enemy health bars are reducing at a faster rate because you’re buffing your allies, but it still doesn’t compare to having directly caused the opponent’s demise, whether it be through dealing the damage yourself or disabling them so that an ally can finish them off. Healing helps prevent death (duh?). Taric has access to a fair sized heal in his Imbue (Q). This spell heals both Taric and a targeted ally. If Taric targets himself, instead of healing himself twice, he heals for 140% of the heal value. The fact that the spell has a fairly high base value (220 HP at rank 5) and now scales off of Taric’s HP means there can be some pretty hefty health swings going on. Healing is notorious for having a significant satisfaction deficit in non-combat use (because if your not keeping your allies at full health all the time, you’re failing that role). Combat healing tends to see less of this, because it’s fairly obvious when a heal has saved someone, or when a player has performed a heal bait. Because many of the mechanics in Taric’s kit (mana cost, cooldown, cooldown reduction for auto attacks, heal efficiency) encourages healing during combat rather than the stagnating sense (being a health fountain), Taric’s healing ability is fairly healthy. Why’s Taric OP (this time)? Does Taric’s stun have enough up-time (effect time vs cool down)? It creates a feast or famine scenario. Either Taric has enough stun up-time to successfully disrupt the enemy team or he doesn’t, no in between. In the feast scenario, it creates frustration for the opponent team because it’s hopeless: there’s nothing they can do to stop Taric from tipping the scales of battle. In the famine scenario, it creates frustration for the Taric’s team because the Taric player is unable to fill their role. It is a potential area for skill differentiation, which in Taric’s particular case is sorely needed. It obsoletes other champions who also specialize in disrupting opponents, but don’t do it quite as well. It’s so hard to balance that it’s virtually always out of balance, which affects the game as a whole. So with all of these detriments to gameplay, why hasn’t Taric been a big priority for rework? Well, when looking at the game as a whole, there are a few benefits to Taric’s kit existing the way it does at current. What if I told you Taric is still a benefit for League? 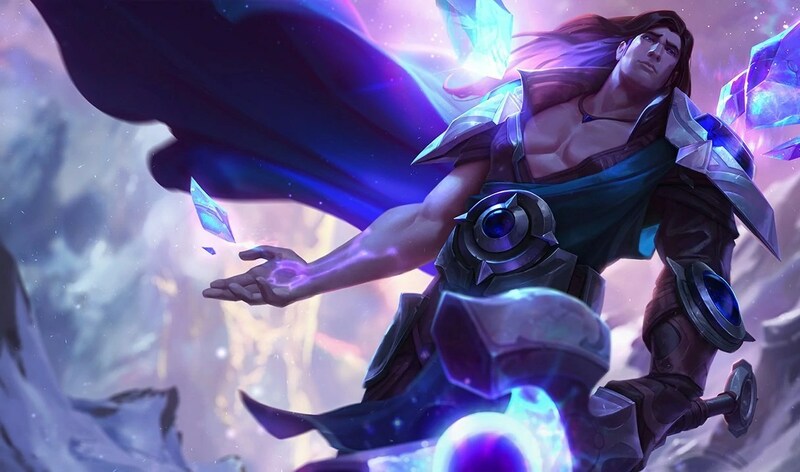 One may argue that even though failing to have enough counterplay and interaction in his kit to be truly competitive, Taric is in a good spot for the game because he occupies a first order optimal strategy for playing the support role. Essentially, he’s easy enough to get passable enough results (until more skilled play) that it’s not a total slaughter when a player tries to learn support. First order optimal strategies aren’t something to flippantly throw away. They make the difference, for a player learning a new strategy or role, between being really frustrated for not being able to operate on the level of the players they get matched up with and being able to operate at least adequately, until their skill requires that they swap to strategies that have a higher skill ceiling. This is the case with Taric. Even if they don’t have to have the mechanical ability to hit a target, players still get the practice of recognizing when an opponent is overextended when looking to stun. Even if Taric’s ability to protect an ally is not the absolute best in the game, players get to practice keeping this in mind by looking for allies to heal. Even if the mechanical requirements to play Taric aren’t very high, proper use of his ultimate teaches players to recognize when teamfights are going to happen. So even though Taric isn’t the very best at anything in a competitive format, he is pretty amazing at letting players practice support. This is vital to the longevity and growth of League of Legends as a game. So does that mean Riot will never change Taric? Taric will probably see some changes eventually (inverse: Taric will never again be changed). A strategy doesn’t need to lack proper counterplay to be a good first order optimal strategy (although reducing their counterplay is one way of making them simpler). Furthermore, a strategy doesn’t necessarily have to sacrifice situational high skill viability to be first order optimal (although again, simplicity tends to put these two qualities at odds). Taric, at the moment, is not the most unhealthy champion in LoL, and as such isn’t going to be the highest priority for rework. Of course, there is still the chance that a developer will take it as a personal project and we’re not privy to all the things being worked on at Riot HQ, but until then, I would recommend against making Taric your lynch-pin/comfort champion.